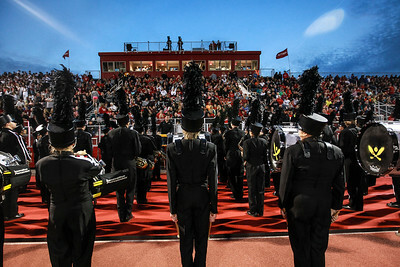 Sarah Nader- snader@shawmedia.com The Huntley Marching Band performs before the start of Friday's football game against Cary-Grove at Huntley HIgh School September 25, 2015. 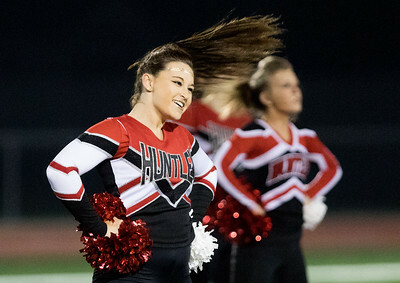 Sarah Nader- snader@shawmedia.com Huntley dancers perform at half time at Friday's football game against Cary-Grove at Huntley HIgh School September 25, 2015. 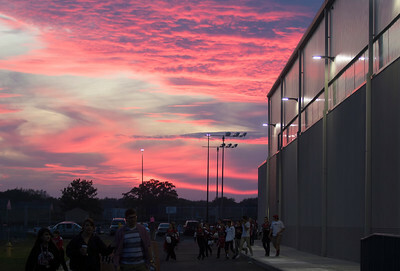 Sarah Nader- snader@shawmedia.com Fans head into the stadium before Friday's football game against Cary-Grove at Huntley HIgh School September 25, 2015. 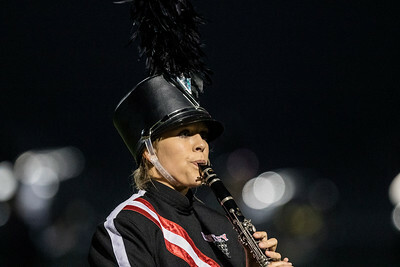 Sarah Nader- snader@shawmedia.com The Huntley Marching Band performs at half time of Friday's football game against Cary-Grove at Huntley HIgh School September 25, 2015. 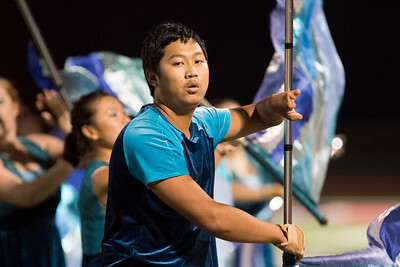 Sarah Nader- snader@shawmedia.com The Huntley color guard team perform during half time at Friday's football game against Cary-Grove at Huntley HIgh School September 25, 2015. 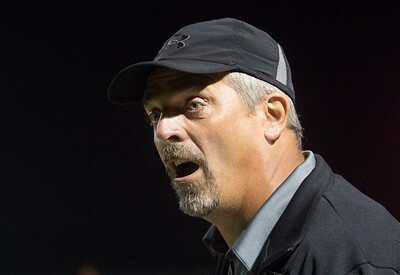 Sarah Nader- snader@shawmedia.com Huntley coach John Hart during Friday's football game against Cary-Grove at Huntley HIgh School September 25, 2015. 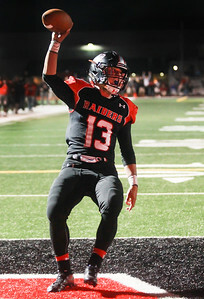 Sarah Nader- snader@shawmedia.com Huntley's Anthony Binetti celebrates a touchdown during the fourth quarter of Friday's game against Cary-Grove September 25, 2015. Huntley defeated Cary-Grove 29-8. 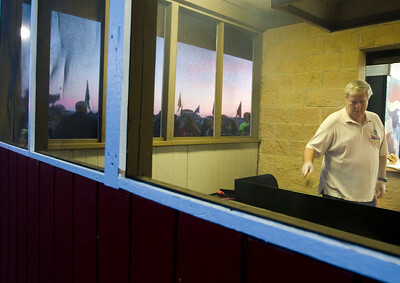 Sarah Nader- snader@shawmedia.com A volunteer cooks hamburgers and hot dogs during Friday's football game against Cary-Grove at Huntley HIgh School September 25, 2015. 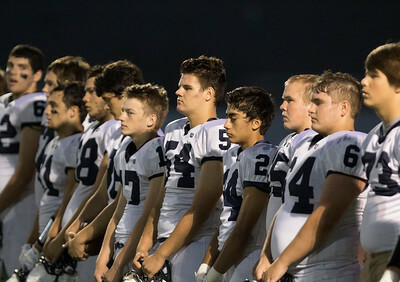 Sarah Nader- snader@shawmedia.com Cary-Grove players time up before Friday's football game against Huntley at Huntley HIgh School September 25, 2015. 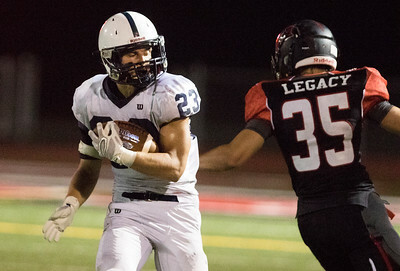 Sarah Nader- snader@shawmedia.com Huntley's Casey Haayer runs past Cary-Grove's Kevin Hughes during the third quarter of Friday's game against Cary-Grove September 25, 2015. Huntley defeated Cary-Grove 29-8. Sarah Nader- snader@shawmedia.com Huntley's Devin Borring runs a play during the first quarter of Friday's game against Cary-Grove September 25, 2015. Huntley defeated Cary-Grove 29-8. 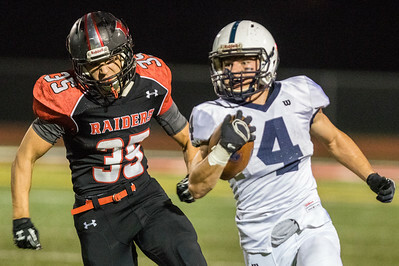 Sarah Nader- snader@shawmedia.com Huntley's Tim Ryan (left) runs after Cary-Grove's Ryan Magel during the second quarter of Friday's game at Huntley High School September 25, 2015. 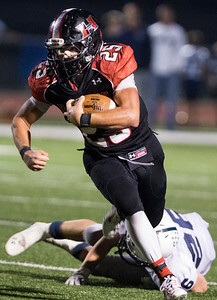 Huntley defeated Cary-Grove 29-8. Sarah Nader- snader@shawmedia.com Cary-Grove's James Freskos runs a play during the fourth quarter of Friday's game against Huntley September 25, 2015. Huntley defeated Cary-Grove 29-8. 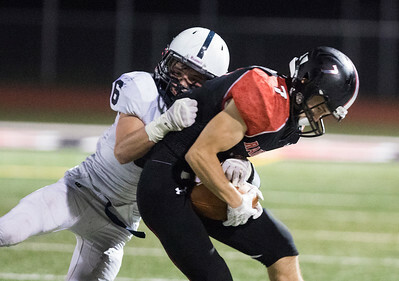 Sarah Nader- snader@shawmedia.com Cary-Grove's Kevin Pedersen (left) and Tyler Pennington tackle Huntley's Casey Haayer during the second quarter of Friday's game at Huntley High School September 25, 2015. Huntley defeated Cary-Grove 29-8. Sarah Nader- snader@shawmedia.com Huntley's Casey Haayer runs a play during the third quarter of Friday's game against Cary-Grove September 25, 2015. Huntley defeated Cary-Grove 29-8. Sarah Nader- snader@shawmedia.com Cary-Grove's John Cullen pushes Huntley's Jason Massaro out of bounds during the first quarter of Friday's game at Huntley High School September 25, 2015. Huntley defeated Cary-Grove 29-8. 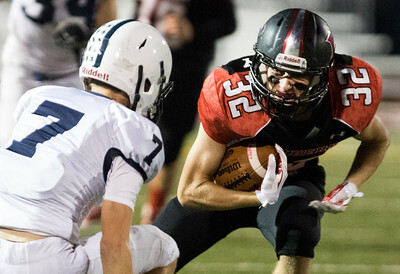 Huntley's Casey Haayer runs a play during the third quarter of Friday's game against Cary-Grove September 25, 2015. 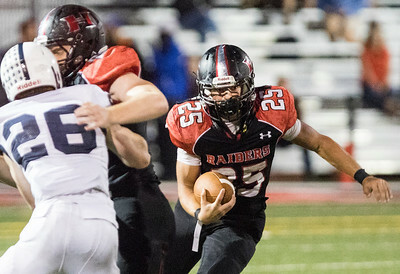 Huntley defeated Cary-Grove 29-8.